Muhammad Ali grew up in Louisville, Kentucky. LOUISVILLE, KY — A humanitarian, a peace advocate and unforgettable personality, Muhammad Ali was known as far more than a boxer. 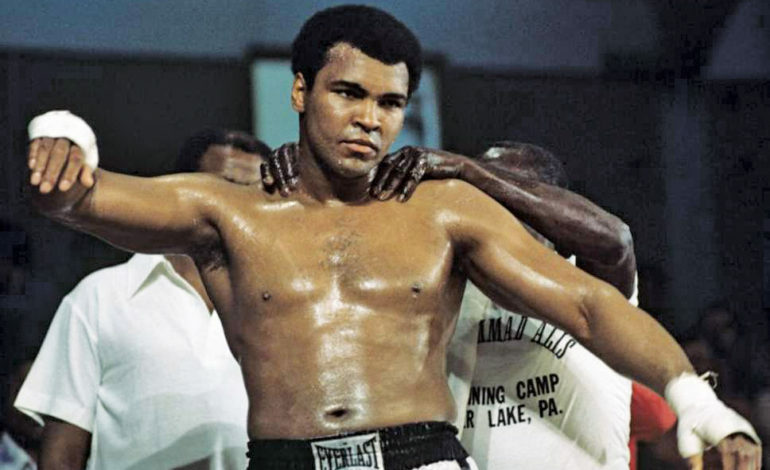 Now, he will also be known as the ambassador for the biggest airport in the state of Kentucky, as it was announced that his name will grace the Louisville International Airport, which will be renamed the Louisville Muhammad Ali International Airport. Ali would have turned 77-years-old today, but passed away in June 2016 after a long battle with Parkinson’s Disease and respiratory problems in his later days. According to board member Dale Boden, the airport authority group began working in November 2017 to consider naming the airport after Ali. They decided to move ahead with the plan after discovering that most people still don’t know he’s from the city, despite the fact that he is well known worldwide. City officials are expected to spend $100,000 to change marketing and branding elements over the next two to three months to promote Ali’s presence and to align with city tourism efforts, an article from the Louisville Courier-Journal said. No statues of Ali will be added to the airport in respect for his Muslim background. “I am happy that visitors from far and wide who travel to Louisville will have another touch point to Muhammad and be reminded of his open and inclusive nature, which is reflective of our city,” she said in a press release.